When I joined Goodreads, I opened myself to a whole new world of potential reading material. 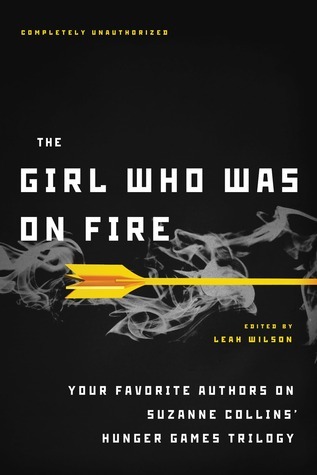 The very first book which sparked my interest through that medium was The Girl Who Was on Fire. 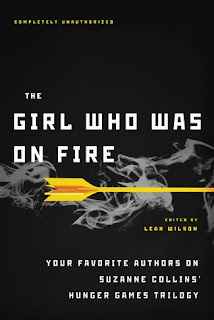 It is a collection of essays about Suzanne Collins' Hunger Games Trilogy written by other young adult authors. Now, in the time since I read The Hunger Games for the first time in the spring of 2011 and definitely since the realize of the movie last year, there has much discussion about the series. A big part of what endears me to the books is the stimulating conversation they create. I have spent many wonderful hours debating the complexities of characters and plot. This anthology is basically a written version of similar conversations and thoughts. What more could a seeker of literary depth ask for? The book was published by Smart Pop Books, a company of which I previously had not heard. From the looks of their website, they have similar anthologies discussing just about everything: tv, movies, books, and more. I, for one, cannot wait to get my hands on the book about LOST or the multiple volumes discussing Harry Potter. For the moment, however, let's talk about Hunger Games. I know I spent my last post regaling the niceties of an easy read. I do not intend to recant any of that. However, no easy read will ever come close to capturing my love the way a book with depth does. Case in point: The Remains of the Day. Now, I have not always had an appreciation for these types of work. In fact, I read Remains in high school for my AP Literature course and did not enjoy it. I found it boring and, frankly, did not get it. Oh how tastes change. 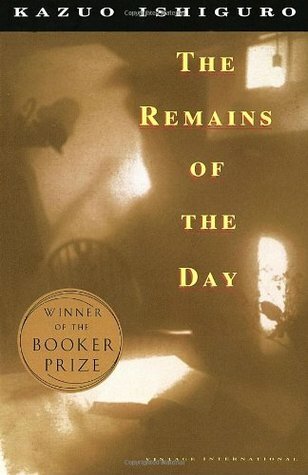 Remains, written by Kazuo Ishiguro, follows an English butler, Stevens, as he reflects on his long career at Darlington Hall. Ishiguro uses a several day road trip to allow Stevens the time to think back on his years in service. Stevens, who serves not only as butler but also the narrator of the story, spends a good deal of time pondering the qualities which make a good butler. As he contemplates various aspects of the role, he hearkens back to various stories and experiences from over the years at Darlington. There is something beautiful about a book which you can read without much effort. Granted, I will never prefer them over books which make me think or books which are exceptionally well written; but something should be said for the books which are, at their highest level, an escape from reality. A book which you can read at the end of the day when all thought is exhausted. Everyone needs these books from time to time. For me, the best examples of such books are ones which are so far removed from reality they cannot be real. What I'm saying is, they need dragons...or fairies...or elves...or something which renders them unable to take place in our world. Recently, I had hit a point where the other books I was reading were heavier books - not anything that I could fall asleep reading as they required too much intellectual engagement. Now, I love to fall asleep reading, so I knew I needed to find a book which would merely carry me along on its journey - no thought required. 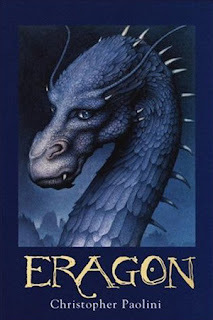 It was in a search for such a book that I started Eragon. Christopher Paolini wrote his first draft at the age of 15 and, with the help of his parents, had the book published two years later.